On Friday, November 12, more than 400 members of the Bar and their guests gathered at Toronto’s Four Seasons Hotel to honour OTLA founder, Bruce Hillyer and another outstanding lawyer at the Celebration of the Personal Injury Bar Dinner. Read below for details about Bruce’s honour as noted by OTLA. Bruce Hillyer, in addition to founding the Association, has a lengthy and impressive record of service in the community and to the clients he’s helped in a career that started over 35 years ago. A leader in the field of personal injury law, he has been consistently recognized as one of the best personal injury litigators in Canada by his peers. Bruce spoke passionately about his career and in particular his involvement with Trial Lawyers Care, the largest pro bono project in the history of American jurisprudence. 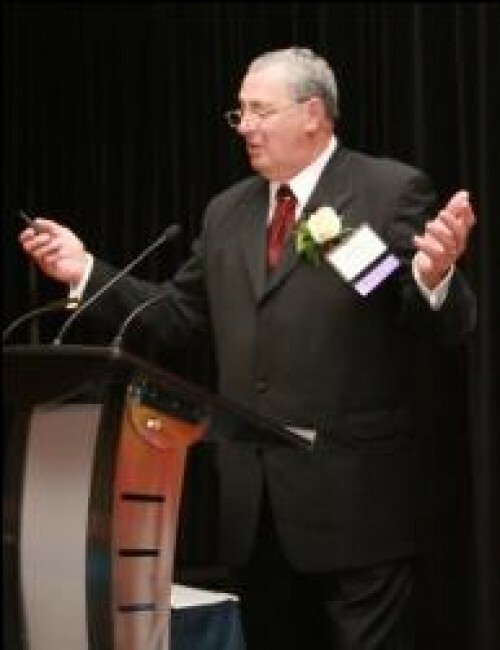 Bruce detailed the challenges and great personal satisfaction he gained in assisting iron workers from the Kahnawake first nation who, despite considerable health and safety risks, were among the very first to heed the call to assist with the clean up following the destruction of the twin towers of the World Trade Centre. Bruce proudly displayed the Mohawk warrior flag that had been given to him as a sign of the Mohawk nation’s gratitude for assisting them in dealing with their many health claims following the 9/11 clean up. Martin & Hillyer congratulates Bruce as one of OTLA’s 2010 recipients at the Celebration of the Personal Injury Bar!